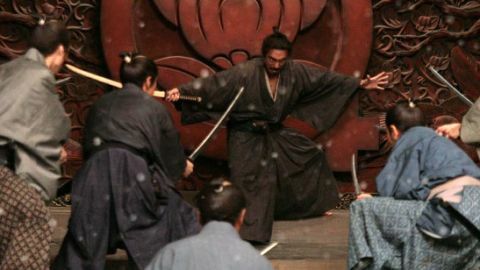 Samurais, swords and some serious showdowns. Barely pausing for breath after 13 Assassins , Takashi Miike dons 3D specs to remake Masaki Kobayashi’s 1962 cult thriller. Unfolding like a bedtime story, it tells of Hanshirô (Ebizô Ichikawa), a penniless samurai who begs a nobleman for the right to commit ritual suicide. Taking him for a conman after a sympathetic hand-out, the suspicious lord instead recites the tragic tale of another shamed ronin who tried the same scam. The 3D is completely redundant and the action sporadic but unexpected gearshifts provide plenty of narrative meat.